With the economy on the upswing, so too is the completion of long-talked about luxury hotel projects. 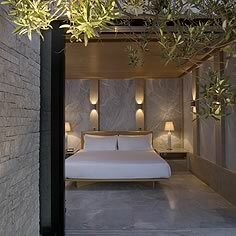 As a self-proclaimed luxury hotel junkie, I am super-excited to visit many of these new--and newly redone--properties around the globe, starting with the uber-chic Siam (below) in Bangkok in a few weeks. Below (in no particular order is my own personal list of 10 newly opened, soon to open or recently redone hotels that I simply cannot wait to see. Each is very unique and defines "luxury" in its own special way. My choices also reflect a growing trend among my young, affluent, style-conscious clients who tell me they prefer chic, unique, non-cookie-cutter-style hotels to the same-old, same-old style of established brands that really need to step the WOW factor up to capture their business in years to come. Now, where to go first?! 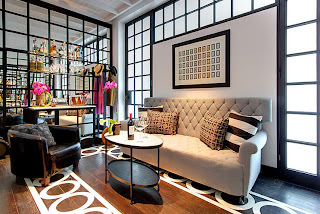 1) J.K.Place Rome: If this property--opening this summer in the heart of Rome--is anything like its super-cool sister hotels in Florence and Capri, it's bound to be an instant hit. With General Manager Samuel Porecca (who formerly ran the still wildly popular JK Capri) at the helm, and promises of style as chic and warm as the Florence and Capri gems, this hotel will bring a new level of much-needed luxury to Rome. 2) Amanzo'e, Greece: Amanresorts' 25th property (and first in Greece) opened on the east coast of the Peloponnese last September after two years and a $125 million build by famed architect Ed Tuttle. Featuring 38 pavilion-style suites with courtyards, pools and other Aman signature style points, Amanzo'e has been fashioned after an ancient Greek village vibe translated to modern times (complete with an Aman Spa, private yacht and exclusive Beach Club). 3) El Encanto by Orient-Express, Santa Barbara: Fans (like me) of Hotel Cipriani, Hotel Caruso, Hotel Timeo, Villa San Michele and Hotel Splendido in Italy should be uber-excited that Orient-Express is transforming this iconic 20th-century hotel in Santa Barbara. The redone version with 92 bungalow-style suites opens March 18. Everything about it sounds inviting from the California cuisine, boutique spa, serene garden-filled setting and Pacific Ocean views. 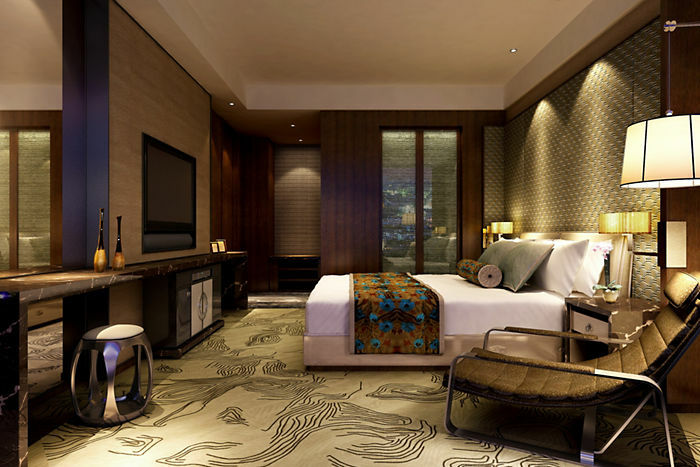 4) The Siam, Bangkok: Bangkok's newest luxury boutique hotel, The Siam, is set on 3 acres along the city side of the Chao Praya River. The 39-room hotel offers multiple restaurants, a cooking school, spa, yoga terrace, Muay Thai boxing ring, a library/cinema, infinity pool, gift/antiques gallery, and spacious suites (some housed in traditional teakwood Thai houses). 5) The Gritti Palace, Venice: One of my favorite Old World Italian palazzo-turned-hotels reopens in style on the Grand Canal in February after a 14-month restoration and the addition of a bi-level suite with rooftop terrace. 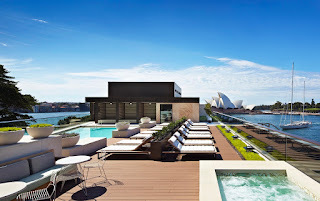 6) Park Hyatt Sydney: My favorite hotel in Sydney is better than ever according to my colleagues who've visited the recently reopened harborfront icon following its 10-month redo. Highlights are new rooftop suites, fully upgraded rooms, remodeled public spaces, a redesigned spa and rooftop pool (below). 7) Dorado Beach, a Ritz-Carlton Reserve: Open since 12/12/12, this 115-room, 50-acre property brings a much-needed ultra-luxury option to Puerto Rico. Sitting on the former estate of Laurance Rockefelle5 15 miles from San Juan, there are three golf courses, a private Beach Club and restaurant by the Chef Jose Andreas (a personal fave!). 8) Mandarin Oriental Pudong Shanghai: Shanghai will welcome its newest luxury hotel this year when Mandarin Oriental enters the market with its striking 362-room property on the banks of the famed Huangpu River. Six restaurants, a world-class spa and the city's most impressive Presidential Suite will be a welcome addition to this booming city. 9) The Peninsula Paris: As a huge fan of their Asian and U.S. properties, I an't imagine Peninsula Hotels' European debut will be anything less than spectacular (!) when it opens later this year in Paris near the Arc De Triomphe. 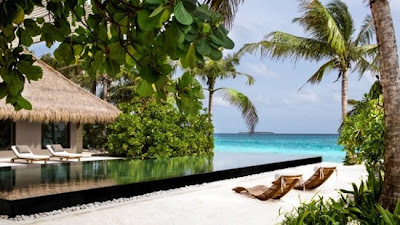 10) Cheval Blanc Randheli, The Maldives: The second hotel project by LVMH opens this year on the Noonu Atoll 40 minutes (by private seaplane) from Male. Everything about this "Maison" oozes Louis Vitton-level luxe from cuisine designed by a three-Michelin starred chef t the four-bedroom Owner's Villa and a Spa with treatments by Guerlain. Sign me up. For more information, or to book a visit to any of these amazing luxury hotels and enjoy special VIP perks and amenities, contact Stacy Small at Stacy@elitetravelinternational.com or 310.301.9036. These hotels are definitely meant for pleasure and honeymoons. I have stayed in one of those hotels around paddington and it has the same feel. Those hotels are so lovely and the place is very much relaxing. 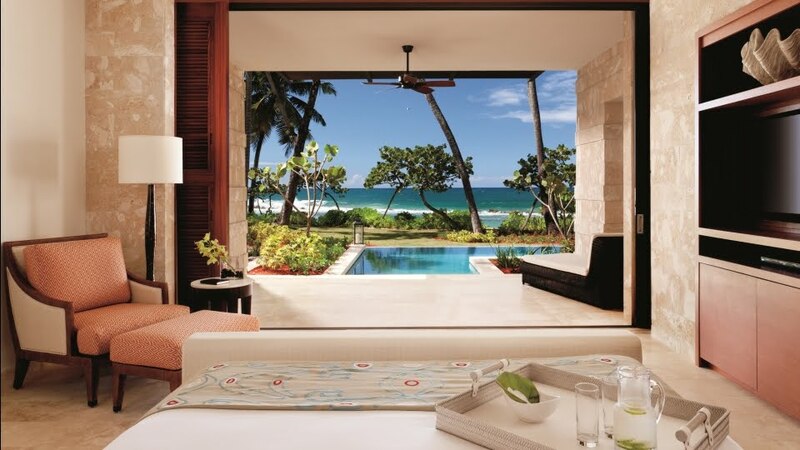 I am agree with Damon those hotels are perfect for honeymoon and for some unwind too. Hope I can visit some of those Hotels. Wow these are gorgeous hotels. It would be pure luxury and pleasure staying at one of these places. The Peninsula Paris looks almost similar to the hotel that I stayed in London but mine is overlooking Hyde Park and it's gorgeous views. I will be shortlisting this list to three and make my decision just before summer. It looks like that I want to swim and pamper myself in a spa. I'll look forward to these hotels. Maybe in the future, if I am fortunate enough, I will be staying in one of them. I am especially hoping it would be in Cheval Blanc Randheli, The Maldives! Thank you so much for providing this list. Now I have the idea on where I should be staying for my vacation. Thanks for this list! My top ten includes Gansett Green Manor because of its inviting ambiance that makes me just sit back and relax. Exactly what I needed for my vacation. I'm looking forward to try your top ten, thanks again for the list! Yeah I agree with everyone, it must be nice to experience even one night of stay in such luxurious hotels. Everything in this place looks amazing. I feel that I will be comfortable in spending my vacation here. I'm sure these hotels' service and accommodation will be first class. Every once in a while it's nice to indulge yourself in such luxury. I am hoping that I can bring my date to any of those beautiful hotels. But before anything else, I have to look for a girl who can be my date. I love staying to hotels during long holiday break together with my family. What we love about staying there is their buffet because we simply love to eat! I'm sure these hotels will pass Nabers accreditation of Australian ratings for buildings, hotels and establishments. Thank you for the list! One of the things I look for in a hotel is the place where I can do yoga. Better yet, yoga sessions in a studio. But all these seem like they have a place for relaxation. I might try them out next month. Thank you! Those hotels are a “must-see”; aside from the vacation experience, I’m more excited to see how the hotels were designed and set up. I just can’t wait to visit these hotels this coming month! Amanzo'e has been fashioned after an ancient Greek village vibe translated to modern times (complete with an Aman Spa, private yacht and exclusive Beach Club). thanks for your sharing, I really like it. I often read these information, it helps me feel more relaxing after working. The placing of the furniture on the first pic looks so compressed. I don't know if the guests that would be sitting there would feel comfortable. Visit to than play games2girls and play game kids games online ! have fun! Veldig interessant blogg. Mange blogger jeg ser i disse dager, gir egentlig ikke noe som jeg er interessert i, men jeg er mest definitivt interessert i denne. Bare tenkt at jeg ville legge inn og gi deg beskjed.